I know for a lot of travelers out there (myself included), the Amazon Visa was your favorite credit card to use while traveling, or making any kind of purchase in a foreign currency. The key feature of the Amazon Visa was that it didn't charge you the 2.5% foreign exchange fee that every bank, ATM, foreign exchange kiosk, and virtually every credit card on the planet is charging you, any time you make a purchase or withdrawal in a currency other than Canadian dollars. Even if you don't *think* you're paying this foreign exchange fee any time you purchase something while traveling, or withdraw money from an ATM, or exchange currency at a bank / kiosk, you most likely are. 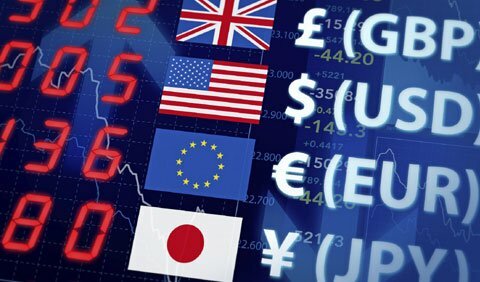 Most places hide this 2.5% foreign exchange fee from you by building it into the exchange rate itself. They charge you an exchange rate that is higher/worse than the 'real' exchange rate (technically known as the spot rate). The Amazon Visa charged you the 'real' exchange rate, without the additional 2.5% exchange fee. On top of that, it offered 1% cashback on all purchases. Paying for items this way while traveling was tough to beat with any credit card, or any other form of payment. It was the best way to buy anything while traveling, assuming you paid your credit card bill on time. There were better cards to use at home, because you didn't get the 2.5% advantage when buying things in Canadian dollars. But for traveling, and buying things in a foreign currency, it was always my go to card. If you were a holder of the Amazon Visa or Marriott Visa, you've probably recently received the letter announcing the demise of these cards, as of March 15th, 2018. I've seen a lot of people wondering if there is a similar card out there. 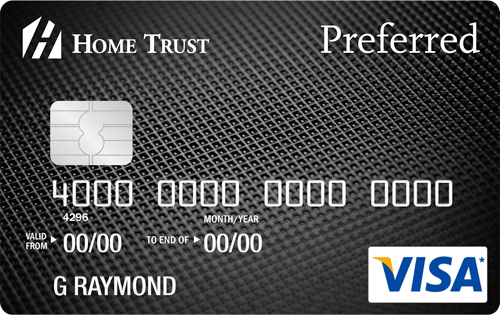 A card with no annual fee, and one that spares you from the 2.5% foreign exchange fee. In other words, it's virtually identical to the Amazon Visa, with a few extra features (roadside assistance, rental car insurance, and purchase security insurance). 2. Scroll down to the bottom and click on 'Start My Application'. - It's worked perfectly in every country I've used it, except for one time in the Cook Islands when it wouldn't process my transaction. On that occasion, I received an e-mail from Home Trust asking me to click on a link to verify that it was me trying to use the card. It seemed a little unorthodox, but I clicked on the link, and the card worked fine from that point on. - You can now (finally!) set your own PIN number. - There is now an option for paperless statements. - It's still my go-to card for any purchase while traveling, or any purchase in a foreign currency. - I received my Home Trust Visa card sometime in March, approximately 6 weeks after submitting the application. - Home Trust has been overwhelmed with applications ever since the Amazon Visa was discontinued, and current applications are taking as long as 8 weeks to process. - you cannot change your PIN. If you forget it, you need to get Home Trust to issue a new card (this is apparently going to be fixed later this year).